When RadChart has no data to display, then a text message is shown in each ChartArea. 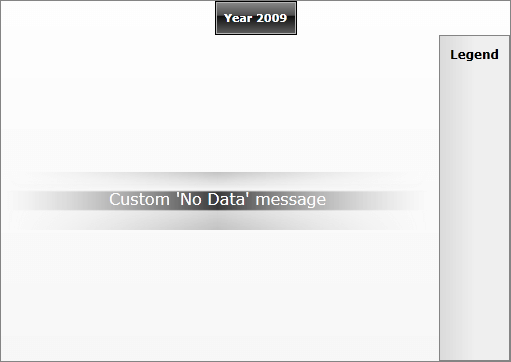 The default message is "No Data Series". If you want to display a different message, use the ChartArea.NoDataString property and set the desired text. If you don't want to use No Data message, just set ChartArea.IsNoDataMessageEnabled to False (which, by default is set to True). In this case, the message and the border will be hidden. Me.telerikChart.DefaultView.ChartArea.NoDataString = "Custom 'No Data' message"
On the image below you can see the custom message displayed. If you need further customizations, check Styling the No Data Control.